Grey Cup is one of the most anticipated event of the summer. Every camper and staff member looks forward to the exciting breakout, followed by two days of football craziness! Each age group is divided into two teams; the Red Hebrew U Dragons and the Blue Bar Ilan Bombers, and competes in skills competitions and a football game. 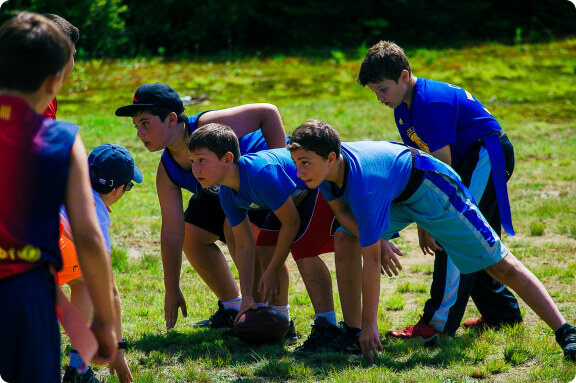 Coached by the staff, campers and staff alike see this as an opportunity not only to win, but to bond with teammates, that are not necessarily in your bunk, as well. After campers’ respective games are over, they are encouraged to stay on the sidelines and cheer on the other campers. To top off these adrenaline-full days, our staff have an opportunity to play in the “staff game” at the end of the competition for some extra points. Ready, set, hike! 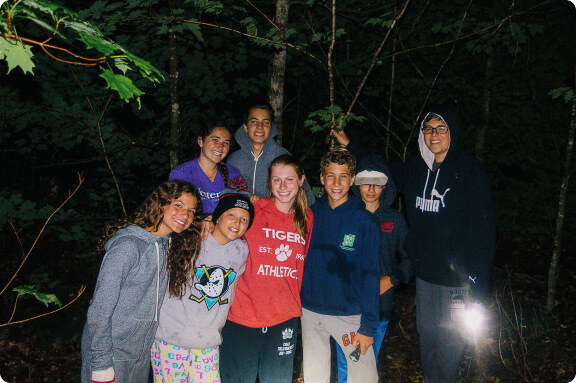 One of our most exhilarating Jewish, Zionist programs is Ma’apilim where our campers and staff get the opportunity to experience life in the past. Our camp is divided into two sections – the British who were in control of Palestine at the time (Galil & Machon Alef) and Jewish illegal immigrants trying to get to their holy land (Emek & Malam). The camp is woken up in the middle of the night for this exciting (yet safe!) program and is divided into groups of about 5 campers and 2 staff. The younger kids are given fake passports and documents and some candy to bribe the older campers to let them into Palestine (the upper section of camp). After sneaking through the forest, trying not to get caught by the British roaming around, the Jewish immigrants finally make it to Palestine just in time to enjoy some yummy hot chocolate by the bon-fire! Our Maccabia colourwar is unique among camps. The three-day long event is organized by the head staff each year based around a particular theme, in which two opposing teams compete in various activities. The teams have two Malam (CIT) campers as their Team Captains, an exciting honour each Malam camper hopes to receive. 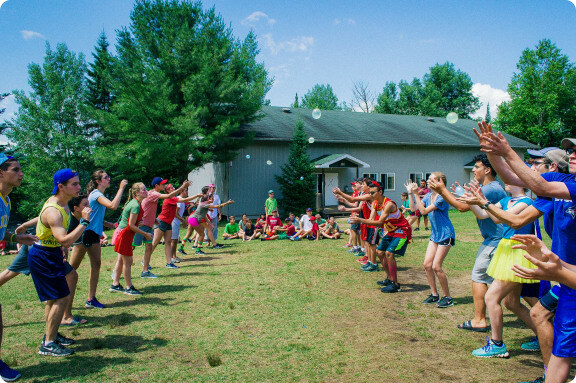 Over the three days, there are many activities including sports tournaments, a waterfront games afternoon, lots of team meetings, and a silent meal. As well, there is a Zimriah in which the teams must compose songs and perform them. Maccabia is a program which fosters camp spirit and pride, and is a way to bring the whole camp together as one.